Well, hi! How was your weekend? 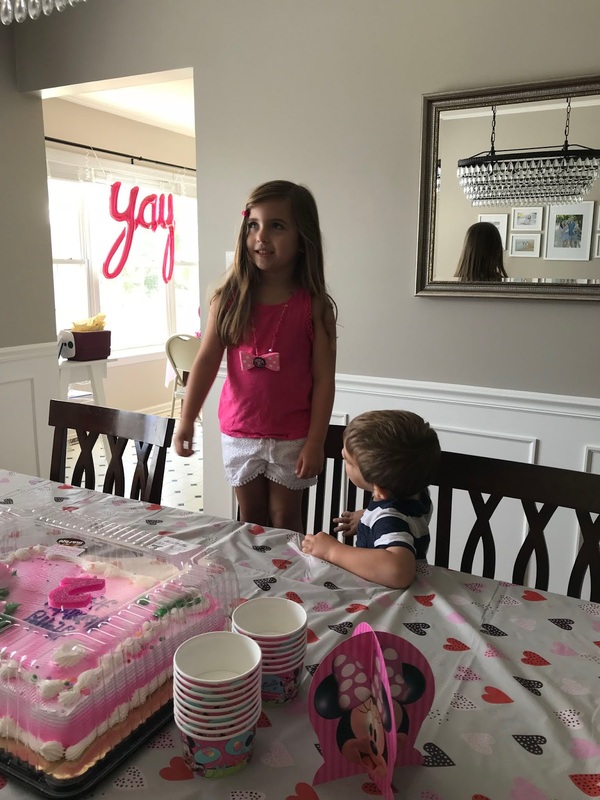 Ours was extra fun, as we threw a little birthday get together for miss H on Saturday. The theme was -- and this is going to shock you -- Minnie Mouse. ;) We had perfect weather and the best group of people to help our littlest celebrate the big TWO. We kept it pretty simple this year. 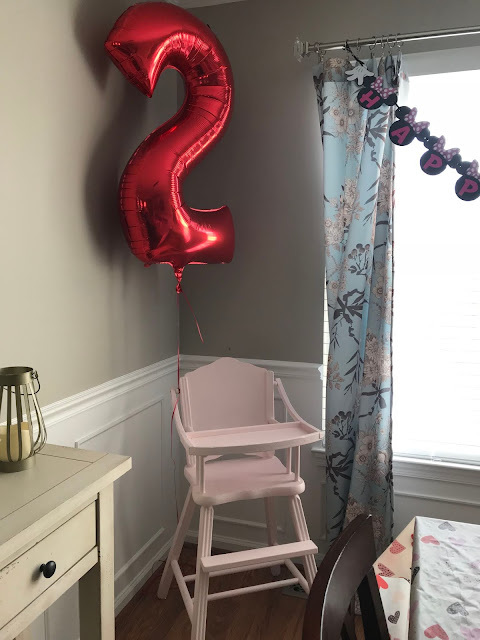 Food consisted of a tray of wraps from Wegmans, a tray of nuggets from Chick Fil A, homemade pasta salad and a fruit tray from Steve's mom, chips, goldfish, baby carrots, and a big ol' pink sheet cake from ShopRite. 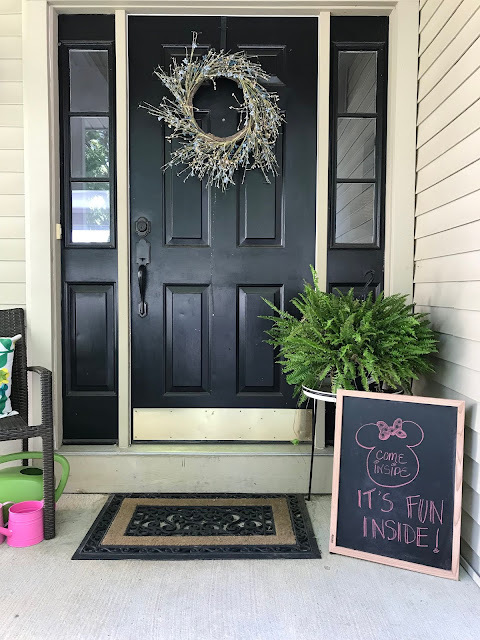 Decor was simple, too, with some touches of Minnie throughout the house and the entertainment was pretty much all of the outdoor kid toys thrown in the yard. The tiny guests seemed to enjoy the inflatable pool the most! Gotta love summer birthdays. Hadley's sweet little dress is from the Disney Store. I tried to link it but I think they sold out! We've got ears, say cheers! ;) Mouse ears found here on e-Bay! Maybe the last year we'll be able to use this high chair we refinished (read more about that project here!). Sniff. 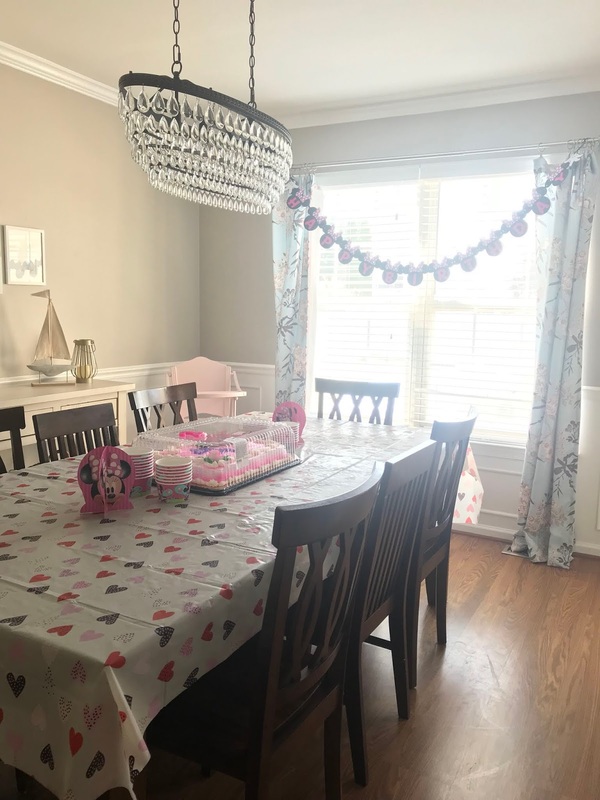 The heart tablecloth was the first thing I bought for the party. In February. Valentine's clearance for the win! 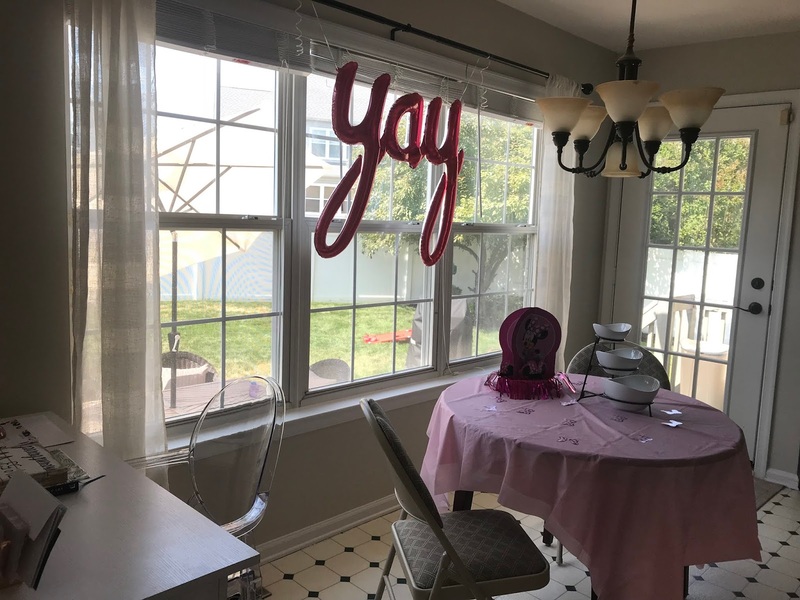 I love that practically everywhere sells these fun word/number balloons now. This "yay" was from the Target dollar spot (for $5). 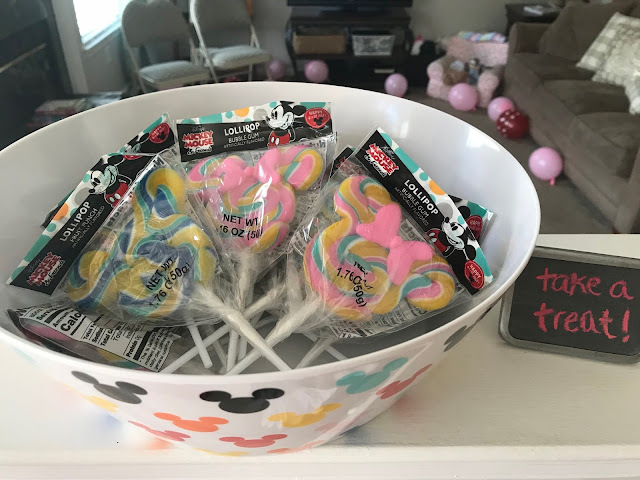 Favors were gourmet Mickey & Minnie lollipops found at Target (sorry, parents). All in all it was a wonderful celebration for a wonderful little girl. Moving on to our menu this week, the simplicity theme continues! What's for dinner in your house this week? I can always use some new ideas! Thanks so much, Biana! Sometimes I forget that simple can be just as perfect in its own way. :) I hope your crockpot dinner was tasty -- those are my favorite! What a fun, sweet, and (ultimately) simple Minne party! I love seeing ones like this aren't TOO elaborate because they give me hope that one day I could be this creative ;) Love it! Thanks, Melissa!! :) And of COURSE you could (and will)! It's so much easier on the wallet, too, and the birthday girl/boy still has just as much fun. Appreciate your kind words! Simple parties are my jam!! They stress me out enough, I can't imagine if I tried to go elaborate!! I will forever serve a chick-fil-a nugget platter at all of our parties!! 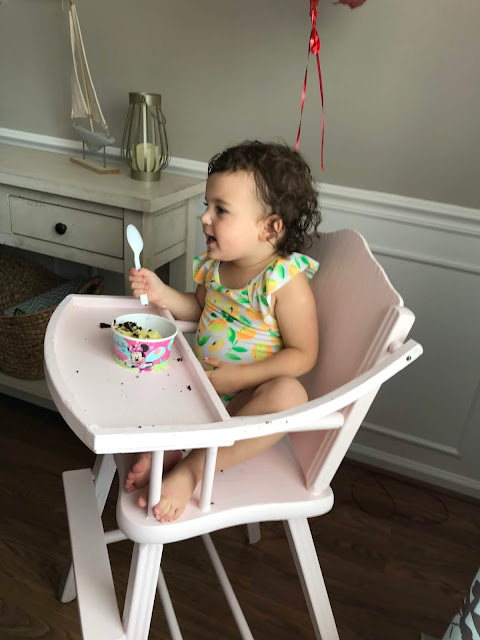 So east and SUCH a hit! Oh my heavens how cute and sweet is this?! Also, love your chandy in the dining room! The cutest party. I love that you got those lollipops from Target. I wish I had found those for my girls. They are obsessed with Mickey...especially the Club House show. Thank you!! 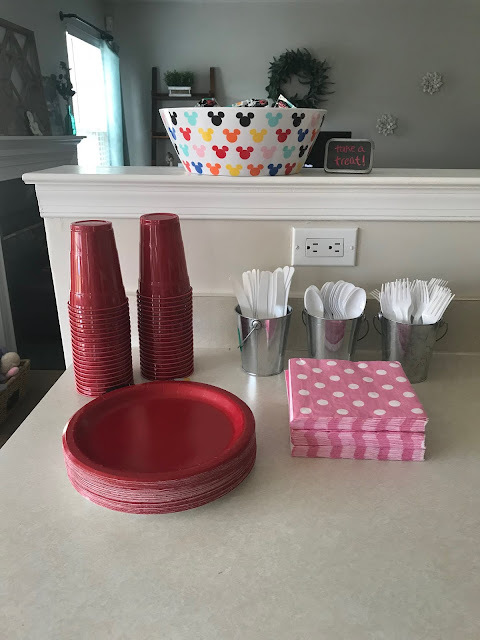 :) We really lucked out because Target released their whole special edition Mickey line right as we were planning the party! Check your local Target, they might still have the pops -- mine did a couple of days ago!